250ok is a premier email analytics and deliverability platform. Their products offer deep insight into performance, overall sending reputation and DMARC compliance. Recently, we spoke with 250ok’s Director of Product Marketing Anthony Chiulli to hear his unique take on the wide variety of tools and platforms currently available in our industry. How and when did you get involved in the email industry? Had you always known you wanted to geek out in the email world? Like most people, I fell into email and have never left. After graduating from the University of Colorado – Boulder in 2007, I worked for a SaaS company for a few years before joining Return Path in 2011, where I cut my teeth in the email industry. What’s your favorite email related story? One of my favorite stories about email is how its adapted and reinvented itself after nearly 40 years. I remember when pundits declared “email was dead,” with the rise of sleek new collaboration and communication technologies like Slack and social media. Email has silenced the critics and continues to serve as the workhorse for any digital marketer. Where do you see the industry heading in the next 5 years? 10 years? I think email will continue to be a pivotal channel for digital marketers. I am very optimistic about email as an increasingly powerful channel over the next 5-10 years, and believe new technology and features will push the boundaries of what users can do in their inbox and how they can interact and engage with brands. In the immediate future here at 250ok, I’m really excited about our product roadmap heading into 2019 and some exciting partnership opportunities that will help customers maximize email performance with unparalleled insights. 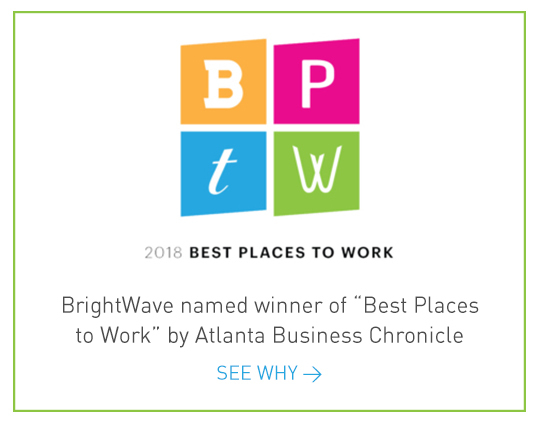 BrightWave has a customer-centric and data-driven approach, closely aligning with 250ok’s approach to solving email performance-related problems. 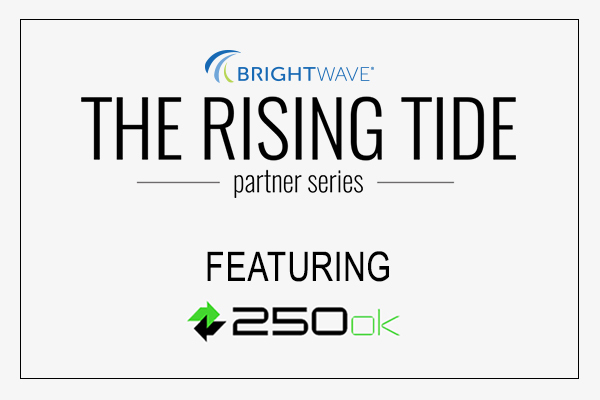 BrightWave is also willing to take an innovative approach to their clients’ needs and problems rather sticking with stale methodologies, and 250ok closely identifies with this mantra in our approach of disrupting the legacy solutions to improving email performance. What in the email world have you been excited about lately? I am really excited about the opportunities marketers and mailbox providers are building to make the inbox a more interactive and experiential place. We are seeing signs of this trend with new mailbox provider designs and functionality, new coding specs like AMP for email, and senders creating mini “app-like” experiences, providing users with unique ways to interact with brands without leaving their inbox. I am also keeping a close eye on email accessibility in 2019, and the opportunity for auditory call-to-actions connecting email with smart home devices. Email continues to be the leading digital channel for ROI, averaging $35-40 return for every dollar spent. Email serves as the workhorse for many brands’ digital marketing efforts, and investments to improve or optimize the delivery, content, value and response to email can greatly influence bottom line revenue. Early on in my career, I tended to focus on my day-to-day responsibilities but always had a passion to learn more and build new things. Find the right company and environment to embrace your ambitions, voice, and ideas. Now, I do my best every week to learn something new, as well as share information externally to further help others. There is a huge opportunity in our industry for continuing education and collaboration amongst email marketers and vendors. First, I would tell them to get ready for a long and exciting career in email! Working in email is a great career and one that is changing constantly. I would encourage them to ask questions, read up on the industry and find ways to interact with the other email professionals and the community at large. One of the unique traits of the email community is everyone’s willingness to be a mentor and crowdsource information to help out others. It truly is a tight-knit and friendly community.